that nature has endowed. Also, not only seafood here is worth tasting, but a plenty of Vietnamese traditional foods and international cooking styles appeared in luxury restaurants here would satisfy the pickiest tourists. Some following suggestions are the key that Vietnam Typical Tour attempts to make your trips more exciting. 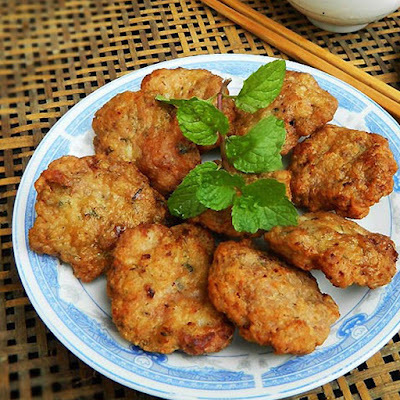 Halong squid sausage is well-known not only in all three parts inside the country but also for international tourists. True to its name, the main ingredient is squid. However, it is said that no kind of squid can make the squid sausage as wonderful as Halong Bay’s squid. It must be fresh squid that is newly caught. The dish, hence, will get the sharp and appealing tang. The food is a fusion of hashed squid and mysterious spices that only the chefs know, molded into round pieces and then fried in boiling oil. 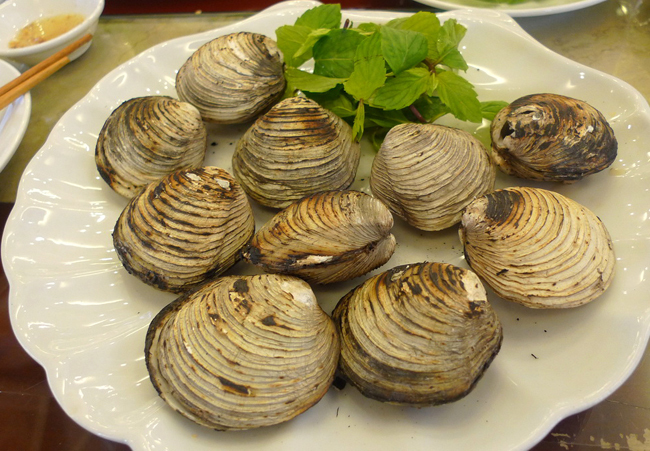 This special dish can be found anywhere along the shore from Quang Ninh to Hai Phong, but nowhere has the same level of deliciousness like in Ha Long. This unparalleled drink is a local culinary delight of Halong. Visitors must be excited when served special liquor named “Ngán - Arca Wine” (“Ngán” is a species of Veneridae). This special drink is actually a mixture of typically Vietnamese rice wine and “Ngán” blood, which is supposed to benefit men’s sexual ability. After the mixture is completed, the wine transforms into a light red color with totally a different flavor. Spirit followers cannot wait to drink it, to feel an immediate absorbent into their bodies. Made from a kind of glutinous rice that solely Halong has, Hoanh Bo soaked rice wine tastes sweet and sour. It requires experience and gentleness to produce this wine. Rice, without being ground, is cooked through, and incubated. Then, people soak fermented wine into a special leave of Hoang Bo forest, which helps to differentiate the wine from others. The wine is very drinkable, light, and hardly causing someone to get drunk. If someone unfortunately gets drunk (usually falling into sleep 2-3 days) due to overdrinking, they will not suffer from headache or tiredness. After sobering up, they even feel better and refreshed. Hoanh Bo soaked rice wine is a must-try drink in summer. There is no precise estimation on how many types of sea snails are edible in this beautiful bay and Sea snails vary widely in breed and cooking process; and fried sea snails with chili sauce seems to be the most common. Unlike its name, this dish’s cooking process does not involve any oil and water. The unusual ingredients of dried coconut, lime leaves and Vietnamese sage leaves (mui tau) are the top significant herbs contributing to success of the dish. Particularly, the sauce served with this dish is the chili sauce used in frying. Otherwise, visitors can use normal sauces. 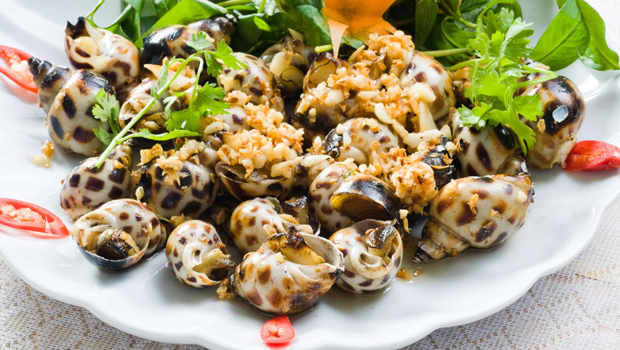 The steaming and colorful dish is a celebration of spicy chili sauce, fatty snail and typical aroma of Vietnamese herbs. Drink beer (bia hoi) while savoring this dish, this cold ice beverage will be blended surprisingly to give you a lifetime experience. Many people never forget these kinds of taste so they promise to come back to Halong as much as and as soon as possible. One more thing, don't forget to enjoy such yummy meals on a boat or a cruise, that must take the most of your vacation. What are you waiting for? Let's explore Halong Cruises together to get more bonus.